No Commitments, cancel in 30 days. Amazon listed over an estimated 600 million different products in the USA alone in 2018. Gaining visibility on Amazon has become increasingly difficult. Gone are the days of simply writing good copy and displaying sharp photos and then seeing the sales pour in. You now must conduct Pay Per Click (PPC) advertising campaigns through Amazon Sponsored Ads to compete and sell at a high volume. Also, it’s nearly impossible to rise in Amazon’s organic rankings without running successful ad campaigns. Who has time to learn how to properly maximize PPC campaigns through Amazon Sponsored Ads platform? We didn’t think you did. It’s not easy and mistakes can cost you dearly. The solution? Allow us–your Amazon PPC Management experts–to manage your campaigns for you. That way you mitigate risk and save time that you can better devote toward operating your business. In all likelihood your product line’s potential within the Amazon ecosystem follows a the Pareto principle, or the 80/20 rule. If you have 20 products, most likely 3-5 are your best sellers and are worth the investment of your advertising dollars. We like to apply this rule to your product line. So we choose to aggressively advertise only high potential products to ensure we can earn you a positive ROI. For these we ask a ‘moderate’ to ‘high’ budget. Often times your less popular products can benefit from very light advertising with ‘low’ PPC budgets. We can address these products later with a lower pricing model* if we succeed first with your high potential products. Still not sure and need to know more? Fill out our Quote form to get in touch now! *Our lower budget pricing applies to low-volume sales products. We extend this offer only to clients with whom we have a current agreement for their high-volume products. 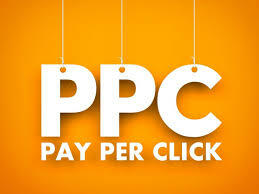 **You may need to raise prices in order for PPC campaigns to work. Net profit margins must be substantial enough to offset advertising costs.